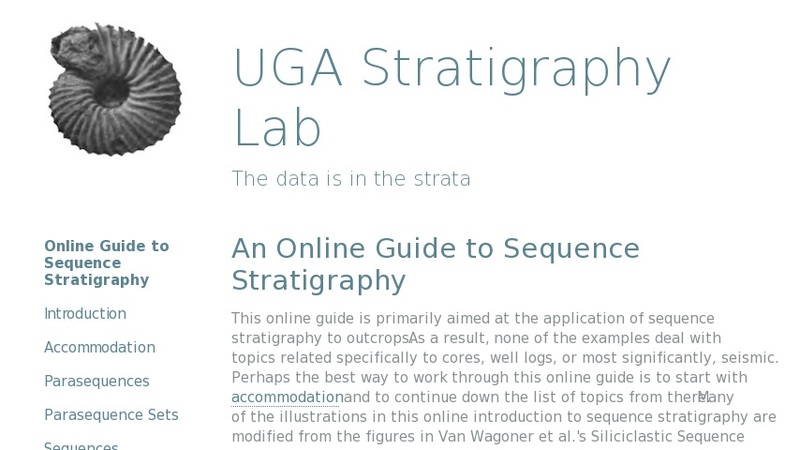 This site, created by Steve Holland at the University of Georgia, constitutes a concise, clear overview of the discipline of sequence stratigraphy. The major concepts are simply illustrated with static images and explanatory text. Topics covered include accommodation, parasequences, stacking patterns, sequences, surfaces, type I vs. type II sequence boundaries, chronostratigraphy and applications to clastic and carbonate systems. A list of recommended readings is also included.